Remember the days when the thought of an airport layover brought shudders and a sense of dread? Today’s airports are breaking out of that mold — and breaking all the old rules — to offer bespoke services to modern travelers. From luxury lounges, modern spas and art museums, to wine bars, gourmet restaurants and markets filled with fresh produce, airports around the world are revolutionizing the travel experience. Discover a new place each month for your next luxe layover. In April 1925, Atlanta’s Mayor Sims leased an abandoned auto racetrack he intended to use as an airfield. The small parcel of land was named Candler Field, after the land’s former owner and Coca-Cola magnate, Asa Candler. The first commercial use of the new airstrip came a year later, when Florida Airways delivered mail via the airport. In April 1929, the city bought the land for $94,400, and officially named it the Atlanta Municipal Airport (although they lost the paperwork designating the official name and had to rename it officially in 1942). With Atlanta Municipal up and running, Delta Air Service started trial service from Birmingham, Alabama to Atlanta on June 12, 1930. The plan went so well out of the gate that the route became “official” just a few days later on June 18, 1930, making Delta the airport’s oldest continuous tenant. The airport took off during the 1940s, under guidance of Atlanta’s longest serving Mayor, William B Hartsfield. Despite becoming a US Airbase during World War II under orders from the US government, the airport continued to grow and by 1948, there were 1 million passengers flying through Atlanta Municipal every year. That number continued to skyrocket, doubling by 1957. In May 1961, the largest single terminal in the country opened at ATL. The $21 million building was designed to hold an unprecedented 6 million travelers per year. Unfortunately, by the end of the first year of operation, more than 9.5 million visitors passed through the new terminal, overtaxing it from the start. In 1971, beloved former mayor Hartsfield passed away, so the airport was officially renamed the William B. Hartsfield Atlanta Airport. In July of that year, Eastern Airlines began offering the first flights to Mexico, so the name was quickly changed once again to the William B. Hartsfield Atlanta International Airport. Today, we take for granted that ATL is an international hub, but the first international carrier didn’t arrive in Atlanta until 1978 when Sabena Belgian World Airlines started four-times-per-week service to Brussels. 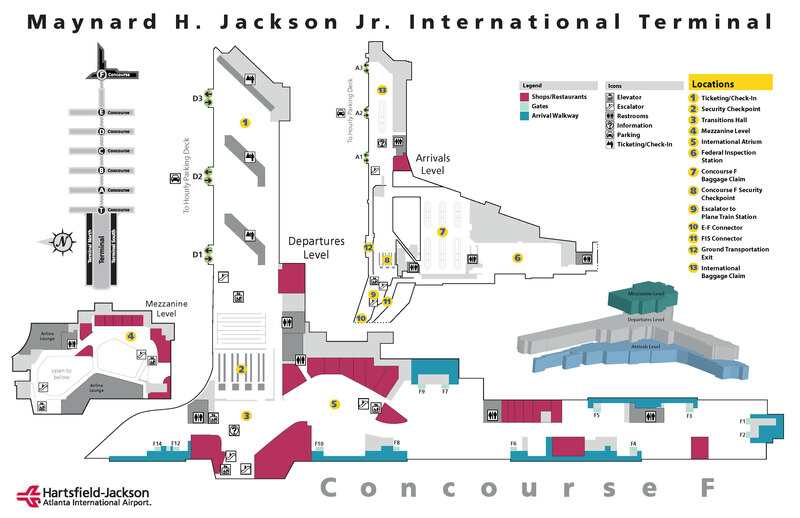 The airport continued to grow under leadership of Mayor Maynard H. Jackson. In September 1980, the airport opened the world’s largest air passenger terminal complex, with 2.5 million square feet and capacity for 55 million passengers per year. 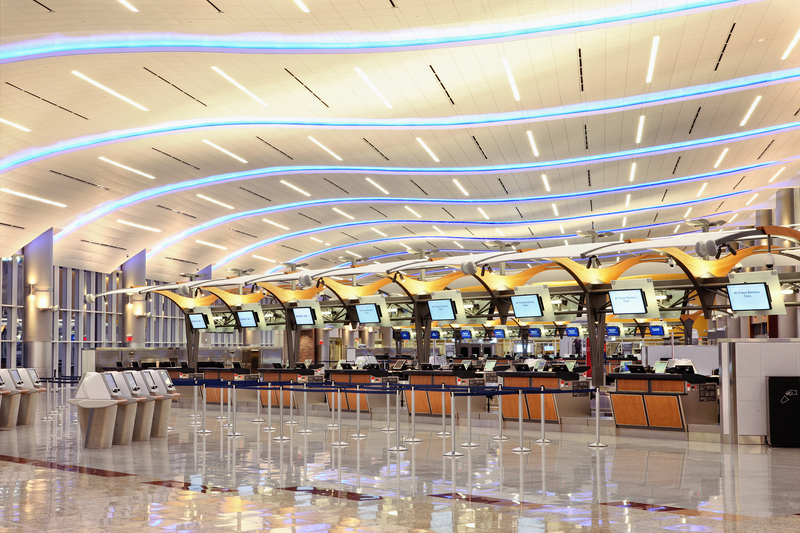 An international concourse – E Concourse – opened in 1994, but by 1998, when ATL was named the busiest airport in the world with 73.5 million passengers a year, it was obvious there was more need for expansion. 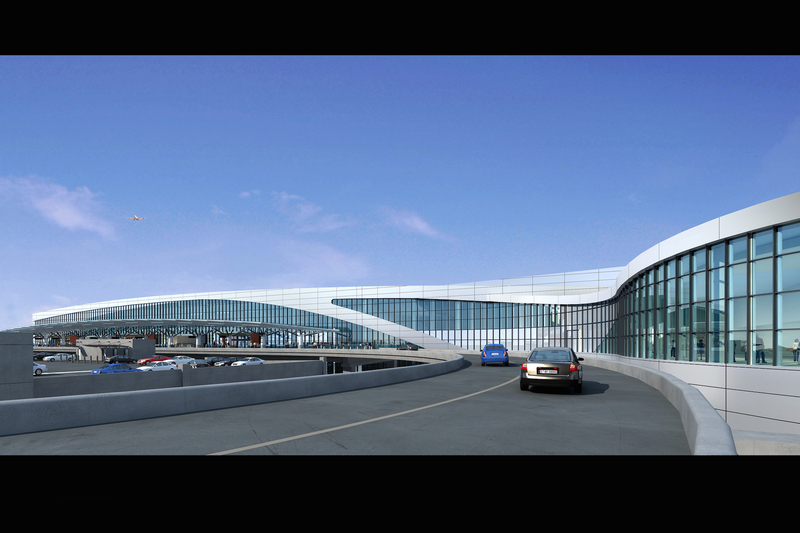 Since then, a fifth runway, rental car center and new international terminal have opened. The airport’s official name changed again in 2003, to honor both of the mayors instrumental in developing ATL into the international hub it is today: Hartsfield-Jackson Atlanta International Airport. The terminal now encompasses 6.8 million square feet covering 130 acres, and the airport services 150 US destinations, along with 75 international destinations in 50 countries. 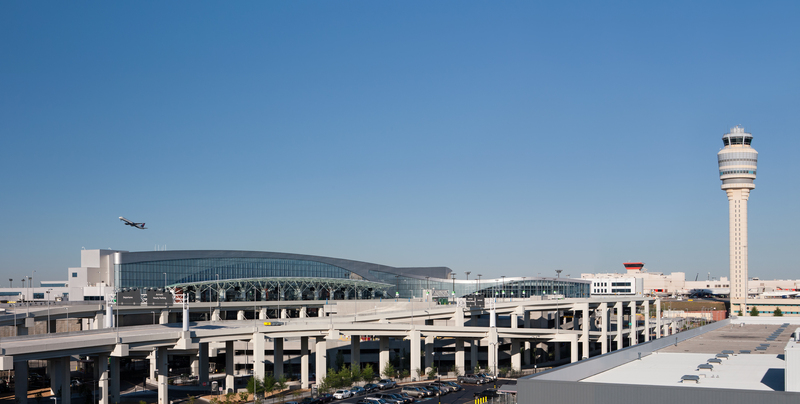 ATL consists of a domestic terminal, an international terminal and concourses T, A, B, C, D, E and F. The Automated People Mover connects all concourses with the domestic and international terminals. There are eleven four-car trains that run on a 3-mile loop every 2 minutes. 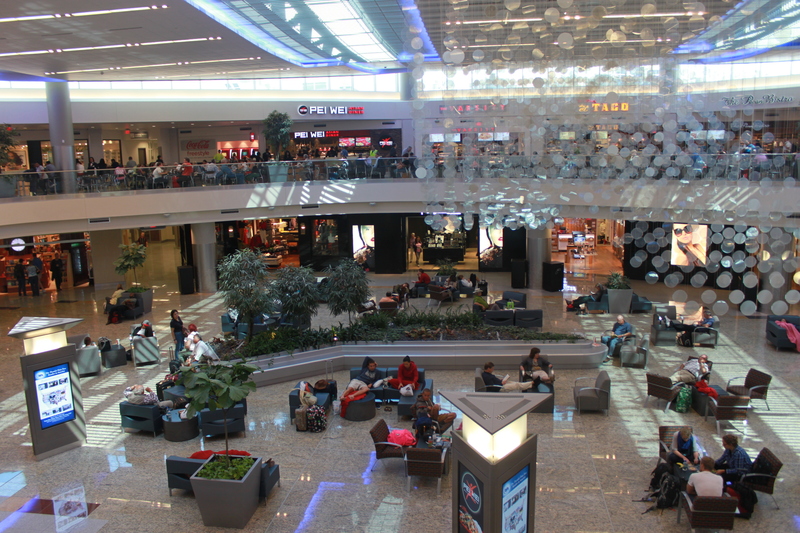 That makes it easy during layovers to jump onboard the APM to visit shops and restaurants in other concourses. There is no need to clear security to visit other concourses, once you’ve cleared it initially or when arriving in ATL on a layover. The domestic terminal contains the baggage claim and check-in for all domestic flights. If you need to get to the rental car center, you will need to jump on the SkyTrain for a short 5 minute ride to the new rental car center, as well as hotels, office buildings and the Georgia International Convention Center. Concourses start at T Concourse, adjacent to the domestic terminal, then go from A to B, C, D, E and F, which is adjacent to the International Concourse. International terminal services both concourse F and international flights that arrive into the E concourse. 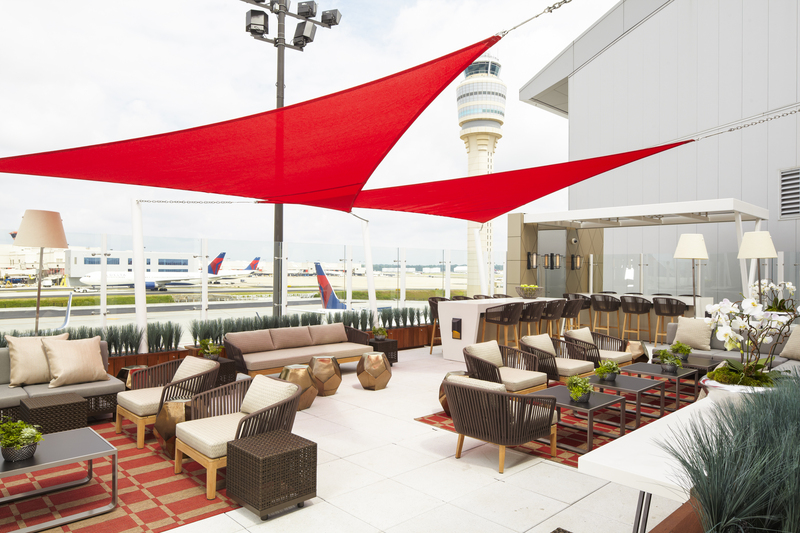 There are a variety of clubs and lounges at ATL. Because ATL is the Delta hub, there are more Delta lounges at ATL than any other variety. In fact, there are nine Delta lounges along with lounges for American, United and one common use lounge. Delta Sky Clubs offer free wine, beer, spirits, soft drinks, coffee, tea and juice along with snacks, hot soups, free WiFi, magazines, newspapers and TVs. The club in T concourse has a putting green, and the club in F concourse has a deck with outdoor seating and views of the runways. Clubs in both E and F concourses have showers available. The club is open to anyone with either a club membership ($450 per year), or a day use pass is available for those flying on Delta for $45. Concourse F: on the Mezzanine Level is open from 5:45 am to 11 pm daily. The American Airlines Admirals Club is located near gate 10 in the T concourse. The lounge offers free beer, wine, spirits, coffee, tea and soft drinks. Complimentary snacks are available, and full meals are available for an additional charge. There are free WiFi, conference rooms and PCs with internet access. The lounge is open to anyone with an Admirals Club membership or to the public with a $50 day pass. The lounge is open Sunday through Friday from 5:15 am to 8:30 p.m., and on Saturday from 5:15 am to 8 p.m. The United Club is located in the D concourse between gates D12 and D14. The club serves free beverages and light snacks. There is assistance with seat assignments, free WiFi and an assortment of magazines and newspapers. The lounge is open to first class customers as well as United Club members ($500 per year). It is also available to the public for a $50 day pass. The lounge at ATL is open Sunday through Friday from 6 a.m. to 7:15 p.m., and on Saturday from 6 a.m. to 6:30 p.m. The Club at ATL is the first and currently only common use lounge at ATL. The lounge is available to the general public for a daily fee of $35.00. It also serves as the lounge for first class passengers on British Airways, Lufthansa, Diners Club International and Priority Pass holders. The lounge offers free snacks and beverages, including beer, wine and liquor. There is free WiFi, and showers are available. The lounge, open 5:30 am to 9:30 pm daily, is on the F Concourse Mezzanine. Atlanta Bread & Bar: fun, sophisticated atmosphere with local flavors and a full service bar, offering premium and local brands for beer, wine and specialty cocktails. The restaurant serves soups, sandwiches, Panini, salads and entrees, including a favored shrimp and grits, as well as chicken breast with gouda grits and collard greens; near gate A12 and open from 6 a.m. to 11 p.m.
Atlanta Chophouse and Brewery: the legendary Atlanta steakhouse has a branch in the Atrium, pre-security. You can get steaks, chops and seafood; open 9 a.m. to 10 p.m. daily. Dos Equis Explorers Lounge: a high-tech beer lounge, featuring iPad menu technology, authentic Mexican food and Dos Equis beer. Diners view the full menu and suggested beer pairings and place their orders on the iPad; near gate B31, open daily from 6 a.m. to 11 p.m.
Ecco: the airport location of one of Atlanta’s premier dining locations serves seasonally inspired European cuisine with adventurous wine and cocktails; located on the Mezzanine in the F concourse, from 9:30 a.m. to 10 p.m. for lunch and dinner. Jekyll Island Seafood Company: offers a taste of the Georgia coast, with Jekyll Island shrimp delivered fresh Get favorites such as shrimp and grits, fresh oysters, seafood gumbo; open from 9 a.m. to 11 p.m. daily. One Flew South: this James Beard finalist offers an exclusive upscale dining experience of global fare, created using premium ingredients from local sources. The menu includes great sushi, an international wine list and extensive cocktail list. The restaurant’s signature is its pink marble columns and tabletops constructed from rare Cherokee Marble mined in Jasper, Georgia. For the complete menu, visit oneflewsouthatl.com. There are more than 100 retail outlets in ATL. While you’ll be able to find plenty of news stands and souvenir shops, along with three duty free shops, there are several high-end shops offering everything from clothing to jewelry. Buckhead Bookstore: there are two locations of this local bookstore. The location in the B concourse Centerpoint is open 6 a.m. to 11 p.m. and has seating available. There is a smaller location at C39, open 6 a.m. to 10 p.m. daily. Bulgari: jewelry, accessories, handbags, scarves, sunglasses and fragrances are available at this luxury jeweler, located in concourse A Centerpoint; is open 7 a.m. to 10 p.m. daily. Coach: designer accessories by this high-end retailer. 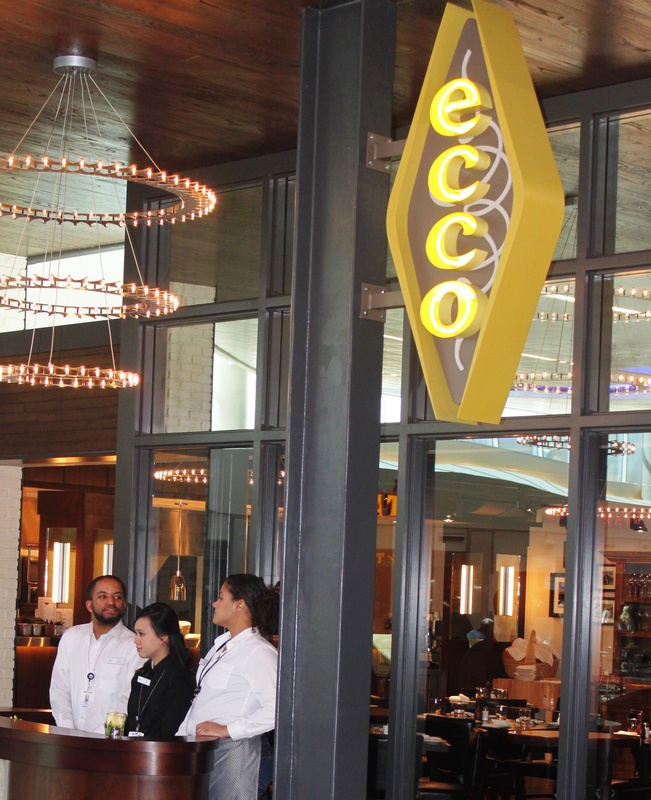 Located at the concourse F Centerpoint, Coach is open 8 a.m. to 8 p.m. daily. Ermenengildo Zegna: offers designer men’s clothing and accessories in the concourse A Centerpoint, from 7 a.m. to 10 p.m. daily. Kiehl’s: skin and beauty products are offered at two locations, the Centerpoints for both concourse B and concourse F. Both locations are open 8 a.m. to 10 p.m. daily. L’Occitane: offers skincare and body products near gate A26. Open 7 a.m. to 10 p.m. daily. Lather: Luxury skin and body care products are available near gate T5. The shop is open 7 a.m. to 10 pm daily. Luxe International: sells brand name fashions from two locations—near gates B17 and D11. Both are open from 7 a.m. to 10 p.m. daily. MAC Cosmetics: luxury cosmetics are sold in the concourse F Centerpoint from 9 a.m. to 11 p.m. daily. Michael Kors: designer handbags and accessories are for sale at two locations—near gate E11 (open 7 a.m. to 11 p.m. daily) and at the F Centerpoint (open 7 a.m. to 10 p.m. daily). Mont Blanc: designer pens and writing accessories, located in the concourse F Centerpoint and open from 7 a.m. to 10 p.m.
Salvatore Ferragamo: elegant apparel, accessories and shoes are available at this luxury retailer in the concourse A Centerpoint, open 7 a.m. to 10 p.m. daily. 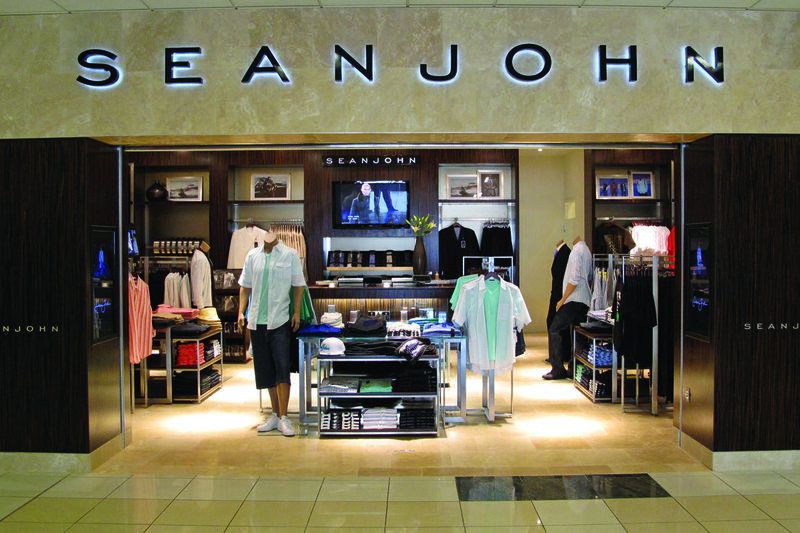 Sean John: men’s clothing retailer is located near gate B28 and is open 7 a.m. to 10 p.m.
TUMI: luxury luggage and travel accessories are available in the shop near gate E11, open from 9 a.m. to 11 p.m. daily. Traveling is stressful, and there are a couple of ways to relax and have fun during your layover at ATL. XpresSpa: If you would like to spend your time between flights pampering yourself, head to XpresSpa. 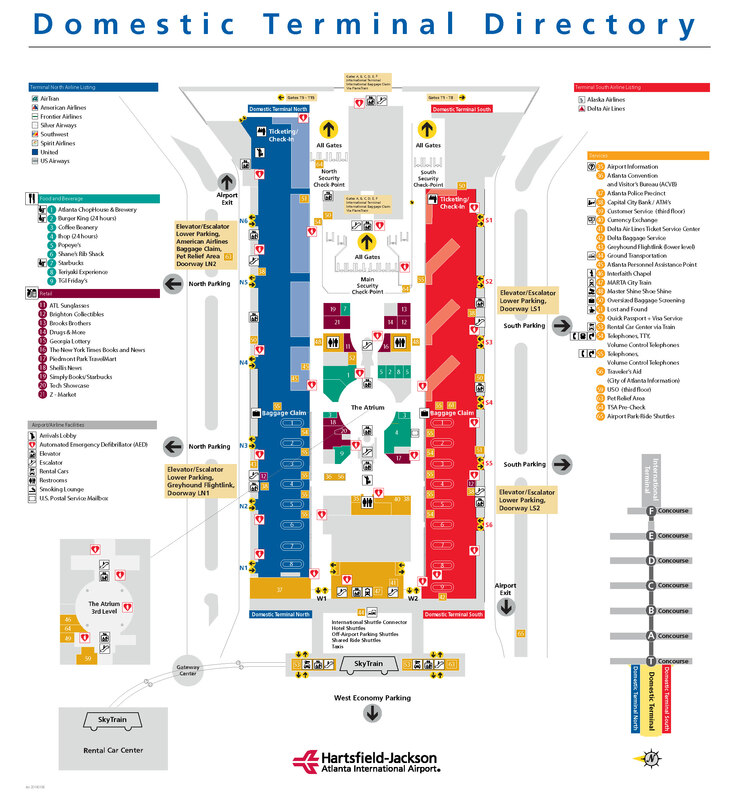 There are two ATL locations—one in concourse A, opposite the food court and another in the C concourse, near gate C37. You can get manicures, pedicures, facials, foot massages, hand and arm massages or even full body massages. You can book as few as 15 minutes or as much as 90 minutes. The spa in concourse A is open from 6 a.m. to 10:30 p.m. daily; the concourse C location is open from 6 a.m. to 11 p.m.
Music Program: check the airport schedule to see if you happen to be there during one of the musical performances that happen at least four times each year. The performances take place in the Atrium (so ensure you have time to get back through security) and often correspond to special events in the Atlanta area, such as jazz during the Jazz Festival and Victorian costumed carolers at Christmas. Art Program: ATL offers both commissioned pieces on permanent display and rotating exhibits. You can find rotating exhibits in the Atrium Gallery of the main terminal, Gallery T, adjacent to the Terminal South security checkpoint, in cases throughout concourse E and along the north corridor of the T gates. In addition, there are four pedestals in the ground transportation holding area outside the west end of the main terminal that exhibit three-dimensional art. The works change annually. There are also rotating exhibits in the Youth Art Galleries for K-12 students in the Atlanta area. Concourse T and concourse E house works in association with the Georgia Art Education Association, while concourse D houses work by underserved kids and teens as part of the Youth Art Connection and Boys & Girls Clubs of Metro Atlanta. Permanent art exhibits started at the airport in 1979 with the purchase of nine art pieces. Today, there are more than 250 pieces of art on display throughout the airport. Some of the most notable works include the “Rolling Suitcase,” “Samsonite,” and “Penguin” sculptures by Leo Sewell. The “Rolling Suitcase” is a giant piece of luggage created using street signs, while “Samsonite” is created using license plates from all 50 states. Both of those are located curbside outside the North Domestic Terminal. “Penguin” is a giant penguin with a suitcase, crafted from found aluminum objects outside the South Terminal. 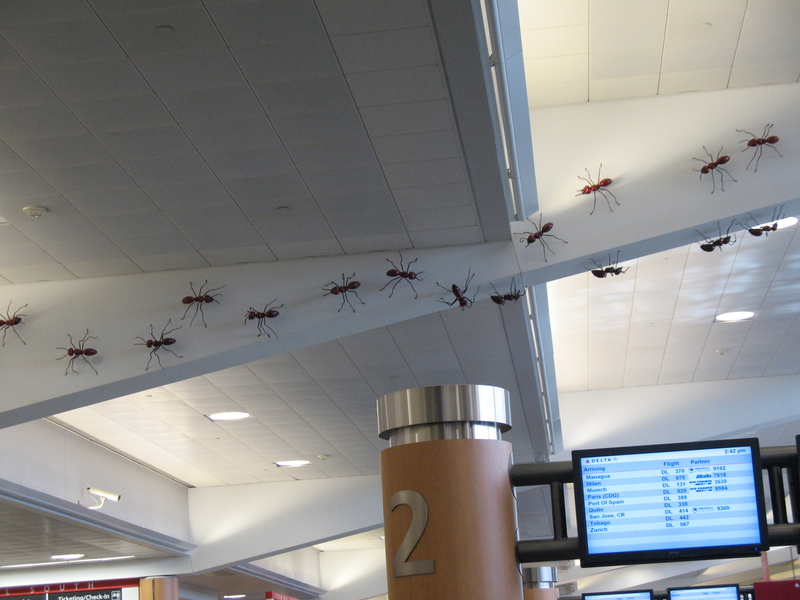 Inside the airport, favorites include “Brute Neighbors” by Joe Peragine—a series of giant urethane plastic and copper ants crawling across the wall of the North and South baggage claim areas and “Spirit of Atlanta” by Deborah Whitehouse, which is a photo collage at the escalator from the APM station inside the main terminal. Pet Areas: if you travel with your pet, you will appreciate the dog parks located outside the terminals at ATL. The main dog park, in the ground transportation area on Domestic T South just outside doors W1 and W2, is 1,000 square feet of enclosed area, with flowers, grass, rocks, benches and artwork. There are two smaller parks, one on the lower level of Domestic Terminal North outside door LN2, and one at the arrivals level of the international terminal outside door A1. There is one full service hotel adjacent to ATL, the Marriott Atlanta Airport Gateway. This Silver LEED certified hotel is a 2-minute free ride on the ATL SkyTrain from the terminals. The hotel offers comfortable rooms, spacious work areas and soundproof windows. If you’re looking for a quick rest between flights, you can head to the Minute Suites near gate B17. These private suites each include a sofa bed, pillow, blanket, 32″ HDTV with computer capabilities, keyboard, mouse, DirecTV, free WiFi, sound system with Nap26 audio program for power napping, alarm clock, desk and office chair. Rooms are available for $38 per hour with $9.50 per 15 minutes for the first two hours or $7 per 15 minutes after two hours. If you want to stay overnight inside the terminals, you can book a room at Minute Suites for 8 hours at the flat rate of $130. 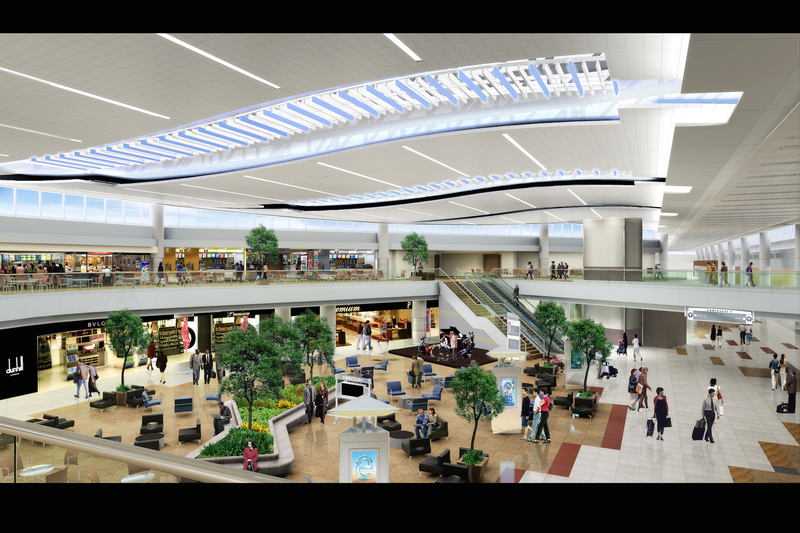 Hartsfield-Jackson Atlanta International Airport will continue to grow and expand as the airport continues to be one of the busiest in the world. 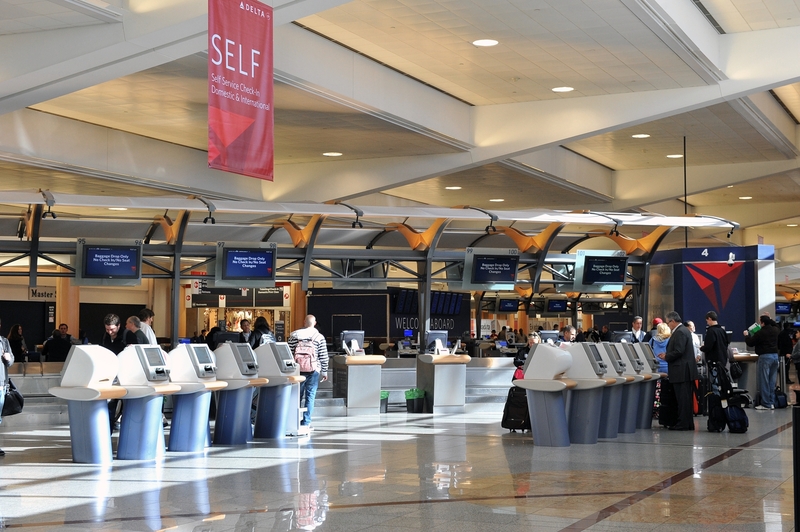 Be sure to check out www.atlanta-airport.com before you leave home for the most current updates.